Kartik leads the investment, ecosystem and policy activities at Asha Impact. He has led investments into eight social enterprises and helped build out the ecosystem and policy activities of the trust. 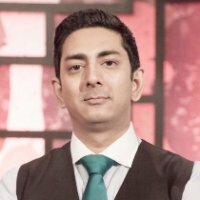 Prior to joining Asha Impact, Kartik has over a decade of experience in venture capital, social entrepreneurship, investment banking and international development. He has worked with two of the largest impact investment funds in India, Lok Capital and Aavishkaar, as well as set up his own social venture, What’s up Bharat. Prior to this he worked for three years with Merrill Lynch in the investment banking team executing IPO, M&A and private equity transactions. He has done consulting engagements for organisations including the BTS Group, the UNDP and the Rockefeller Foundation. Kartik graduated from the Wharton School, University of Pennsylvania with a Bachelor of Science in Economics and from Columbia University with a Master in International Affairs.